The insurance group TAS presented the employees the innovative product for the Ukrainian insurance market – “CASCO Green corridor”. Having invested a lot of resources in the product development, marketing group paid particular attention to the internal corporate presentation because the success of the innovation in practice depends on the employees who deal with the end customers. The event agency PUSH-K Solutions got the task to think over the format, the content and the concept of the internal corporate presentation “CASCO Green Corridor” in the shortest possible time. In addition to the tasks the agency had to convey the spirit of the new insurance brand for maintenance of a comfortable environment of the presentation conferences. In such cases an individual event concept is necessary. The employees of the Insurance Group “get stuck” at the airport, where they meet with a representative of the target audience of the “CASCO Green Corridor”. The theme of the “Green Corridor ” appears naturally, which serves as a lead-in to the presentation of the product. The representative of the target audience, being acquainted with the product, is amazed and becomes the first client. 1. 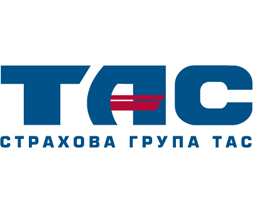 Employees of the IG “TAS” get on the plane. They arrive to the airport “Borispol”. 2. At passport control emerges a technical halt and none of the passengers can leave the airport. 3. In the same situation appears to be a well-known producer with his artists. 4. Realizing that he cannot get out of the airport, the producer leads the event to the topic of usability of green corridors. The client’s presenter offers the producer to learn more about the ” Green Corridor”, which has been created by the Insurance Group “TAS” . This dialogue is a lead-in to the presentation of the product, the restaurant room turns into a green corridor. There is a animated presentation of the product. 5. The producer is amazed with the “CASCO Green Corridor” He is grateful and asks his artists to entertain the employees who are “stuck” at the airport, the event switches to the informal phase with the show program in the spirit of the product. Of course, the high-quality implementation of such event-concepts requires the technical equipment, the special video content and the excellent teamwork of the organizers. As the event culmination the organizers imitated a green corridor using the forest and lighting devices. This action caused a joy not less than the classic firework, and most importantly, continued the conceptual line of the insurance product “CASCO Green Corridor”.